Organisms seldom exist in isolation and are usually involved in interactions with several hosts and these interactions in conjunction with the physicochemical parameters of the soil affect plant growth and development. Researches into below and aboveground microbial community are unveiling a myriad of intriguing interactions within the rhizosphere, and many of the interactions are facilitated by exudates that are secreted by plants roots. These interactions can be harnessed for beneficial use in agriculture to enhance crop productivity especially in semi-arid and arid environments. The rhizosphere is the region of soil close to plants roots that contain large number of diverse organisms. Examples of microbial candidates that are found in the rhizosphere include the Arbuscular Mycorrhizal Fungi (AMF) and rhizobacteria. These rhizosphere microorganisms use plant root secretions such as mucilage and flavonoids which are able to influence their diversity and function and also enhance their potential to colonize plants root. In the natural environments, plants live in interactions with different microorganisms, which thrive belowground in the rhizosphere and aboveground in the phyllosphere. Some of the plant-microbial interactions (which can be in the form of antagonism, amensalism, parasitism and symbiosis) protect the host plants against detrimental microbial and non-microbial invaders and provide nutrients for plants while others negatively affect plants. These interactions can influence below-ground-above-ground plants’ biomass development thereby playing significant role in sustaining plants. Therefore, understanding microbial interactions within the rhizosphere and phyllosphere is urgent towards farming practices that are less dependent on conventional chemical fertilizers, which have known negative impacts on the environments. Drought stress is one of the major factors militating against agricultural productivity globally and is likely to further increase. Belowground rhizobacteria interactions could play important role in alleviating drought stress in plants. These beneficial rhizobacterial colonize the rhizosphere of plants and impart drought tolerance by up regulation or down regulation of drought responsive genes such as ascorbate peroxidase, S-adenosyl-methionine synthetase, and heat shock protein. Investigating complex microbial community in the environment is a big challenge. Therefore, omic studies of microorganisms that inhabit the rhizosphere are important since this is where most plant-microbial interactions occur. One of the aims of this review is not to give detailed account of all the present omic techniques, but instead to highlight the current omic techniques that can possibly lead to detection of novel genes and their respective proteins within the rhizosphere which may be of significance in enhancing crop plants (such as soybean) productivity especially in semi-arid and arid environments. Plant-microbial interactions are not totally understood, and there is, therefore, the need for further studies on these interactions in order to get more insights that may be useful in sustainable agricultural development. With the emergence of omic techniques, it is now possible to effectively monitor transformations in rhizosphere microbial community together with their effects on plant development. This may pave way for scientists to discover new microbial species that will interact effectively with plants. Such microbial species can be used as biofertilizers and/or bio-pesticides to increase crop yield and enhance global food security. Keywords: Drought, Microbial interactions, Rhizosphere, Soybean, Omic studies, Biofertilizers. © 2018 Igiehon and Babalola. * Address correspondence to this author at the Food Security and Safety Niche, Faculty of Natural and Agricultural Sciences, Private Mail Bag X2046, North-West University, Mmabatho 2735, South Africa, Tel: +27183892568; E-mails: olubukola.babalola@nwu.ac.za; igiehonnicholas@yahoo.com. Organisms seldom exist in isolation and are usually present in associations with several hosts and the interactions could be in different forms namely: virus versus virus, bacterium versus bacterium, protozoan versus protozoan, fungus versus fungus, bacterium versus fungus, fungus versus plant or animal, bacterium versus plant or animal, virus versus plant or animal, protozoa versus plant or animal, bacterium versus fungus versus plant or animal, as well as other parasitic and symbiotic associations with unique mechanisms that consolidate the associations which can lead to enhanced host plant growth. The recruitment of a foreign species into a new ecosystem is dependent on the type of host and indigenous microbial community. Generally, an ecosystem with lost species diversity has a high tendency to accept new species or invaders and the invaders have to interact with species in the new ecosystem in order to occupy the niche [1Flor-Peregrín E, Azcón R, Martos V, Verdejo-Lucas S, Talavera M. Effects of dual inoculation of mycorrhiza and endophytic, rhizospheric or parasitic bacteria on the root-knot nematode disease of tomato. Biocontrol Sci Technol 2014; 24(10): 1122-36. [http://dx.doi.org/10.1080/09583157.2014.925091] , 2Braga RM, Dourado MN, Araújo WL. Microbial interactions: Ecology in a molecular perspective. Braz J Microbiol 2016; 47(Suppl. 1): 86-98. [http://dx.doi.org/10.1016/j.bjm.2016.10.005] [PMID: 27825606] ]. Research on below and aboveground microbial community are unveiling a myriad of intriguing interactions within the rhizosphere and many of the interactions are facilitated by exudates (Fig. 1 ) that are secreted by plant roots [3Philippot L, Raaijmakers JM, Lemanceau P, van der Putten WH. Going back to the roots: The microbial ecology of the rhizosphere. Nat Rev Microbiol 2013; 11(11): 789-99. [http://dx.doi.org/10.1038/nrmicro3109] [PMID: 24056930] ]. Root exudates play a role in regulating biotic and abiotic functions within the rhizosphere. Some of the functions of the root exudates include: altering soil physicochemical properties, suppressing the proliferation of competing plants and influencing microbial community structure. Particularly amazing are root exudate compounds that are known to mediate symbiotic interactions within the soil. These compounds include monosaccharide (e.g. glucose), disaccharide (e.g. sucrose), polysaccharide, different types of amino and organic acids such as arginine and benzoic acids. It is also possible for plant roots to secrete “higher-molecular-weight-compounds” such as fatty acids, nucleotides, tannins, alkaloids and vitamins which are known to enhance interactions in the soil [4Rasmann S, Turlings TC. Root signals that mediate mutualistic interactions in the rhizosphere. Curr Opin Plant Biol 2016; 32: 62-8. 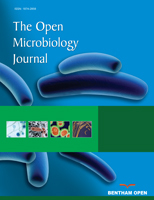 [http://dx.doi.org/10.1016/j.pbi.2016.06.017] [PMID: 27393937] ] particularly those involving rhizobacteria and Arbuscular Mycorrhizal Fungi (AMF). Rhizobacterial and mycorrhizal fungal interactions have been studied extensively [5Song L, Wang Y, Tang W, Lei Y. Archaeal community diversity in municipal waste landfill sites. Appl Microbiol Biotechnol 2015; 99(14): 6125-37. [http://dx.doi.org/10.1007/s00253-015-6493-5] [PMID: 25758957] , 6Igiehon NO, Babalola OO. Biofertilizers and sustainable agriculture: Exploring arbuscular mycorrhizal fungi. Appl Microbiol Biotechnol 2017; 101(12): 4871-81. [http://dx.doi.org/10.1007/s00253-017-8344-z] [PMID: 28547568] ]. The main roles of these microorganisms are to provide nutrients to plants, plant growth stimulation, inhibition of phytopathogens growth and soil structure enhancement. In particular, plant symbiotic association involving these bacteria and fungi is a subject of scientific debate. However, interactions involving archaea are not well understood, although they are present in soil rhizosphere where they are involved in bioleaching especially heat loving archaea [7Zhou R, Rana TM. RNA-based mechanisms regulating host-virus interactions. Immunol Rev 2013; 253(1): 97-111. [http://dx.doi.org/10.1111/imr.12053] [PMID: 23550641] ]. Host interactions with viruses are similarly important since viral particles cause several disease conditions in many host and change the bacterial richness and diversity by attacking dominant strains. This means that plant interactions with microorganisms could be positive or negative depending on the species involved. Considering the enhancement of nutrient status, rhizosphere microorganisms have the capacity to fix nitrogen, obtain iron using siderophores and increase the bioavailability of phosphorus especially by MF [8Hardoim PR, van Overbeek LS, Berg G, et al. The hidden world within plants: Ecological and evolutionary considerations for defining functioning of microbial endophytes. Microbiol Mol Biol Rev 2015; 79(3): 293-320. [http://dx.doi.org/10.1128/MMBR.00050-14] [PMID: 26136581] ]. In addition, the introduction of a symbiotic bacterium into the rhizosphere could also impact plant health by enhancing the process of photosynthesis, chlorophyll content as well as assimilation of carbon (IV) oxide [9Naveed M, Hussain MB, Zahir ZA, Mitter B, Sessitsch A. Drought stress amelioration in wheat through inoculation with Burkholderia phytofirmans strain PsJN. Plant Growth Regul 2014; 73(2): 121-31. [http://dx.doi.org/10.1007/s10725-013-9874-8] , 10Dourado M, Martins P, Quecine M, et al. Burkholderia sp. SCMS54 reduces cadmium toxicity and promotes growth in tomato. Ann Appl Biol 2013; 163(3): 494-507.]. Root endophytes can produce phytohormones in the form of auxins as well as gibberellins which have plant growth promoting traits [11Babalola OO. Beneficial bacteria of agricultural importance. Biotechnol Lett 2010; 32(11): 1559-70. [http://dx.doi.org/10.1007/s10529-010-0347-0] [PMID: 20635120] ]. There are several host/rhizobacterial interactions which may have beneficial and or disease-causing effects on the host plant. Microbial interactions with plants either in the rhizosphere or plant tissue have also the potential to enhance plant development by releasing phytohormones, cleaning up pollutants and enhancing tolerance to biotic and abiotic stress [12Mendes R, Garbeva P, Raaijmakers JM. The rhizosphere microbiome: Significance of plant beneficial, plant pathogenic, and human pathogenic microorganisms. FEMS Microbiol Rev 2013; 37(5): 634-63. [http://dx.doi.org/10.1111/1574-6976.12028] [PMID: 23790204] ]. Drought stress which may either be short, moderate or very severe, is one of the most detrimental abiotic stresses that have increased in intensity, currently having negative impacts on global food security [13Vurukonda SSKP, Vardharajula S, Shrivastava M, SkZ A. Enhancement of drought stress tolerance in crops by plant growth promoting rhizobacteria. Microbiol Res 2016; 184: 13-24. [http://dx.doi.org/10.1016/j.micres.2015.12.003] [PMID: 26856449] ]. By 2050, drought is anticipated to cause severe plant problems for over 50% of the agricultural land [14Kasim WA, Osman ME, Omar MN, El-Daim IAA, Bejai S, Meijer J. Control of drought stress in wheat using plant-growth-promoting bacteria. J Plant Growth Regul 2013; 32(1): 122-30. [http://dx.doi.org/10.1007/s00344-012-9283-7] ]. To overcome the effects of drought, some rhizobacteria produce 1-aminocyclopropane-1-carboxylate (ACC) deaminase which breakdown ethylene precursor ACC to 2-oxobutanoate and ammonia thereby reducing ethylene content and eventually minimizing plant stress [15Babalola OO, Osir EO, Sanni AI, Odhiambo GD, Bulimo WD. Amplification of 1-amino-cyclopropane-1-carboxylic (ACC) deaminase from plant growth promoting rhizobacteria in Striga-infested soil. Afr J Biotechnol 2003; 2(6): 157-60. [http://dx.doi.org/10.5897/AJB2003.000-1032] ]. Thus, belowground microbial communities can be manipulated towards the selection of microbial assemblages that can tolerate abiotic stress and enhance drought tolerance and health of plants. This review therefore focuses on recent progresses in microbial interactions with plants. The discussion is largely targeted to AMF and rhizobacteria and their effects on below and aboveground plant community. Similarly, plants’ tolerance to stress by these microbial interactions, insights from omic analyses of the components of these interactions and prospects of harnessing these interactions for agricultural sustainability are highlighted. Soil is the region below the earth’s surface composed of both living and nonliving entities for which structure is influenced by both biotic and physicochemical parameters. Biotic factors such as plant nature and plants root enhanced soil structure when bringing soil organic matter (∆ C/N) piercing through the soil matrix (aeration) and the constituent microbial species similarly affect the fertility of the soil, thus may modulate soil pH, structure and other related soil properties. Rhizobacterial existence in the soil might support plant growth by releasing growth enhancing compounds, helping to form firm soil structure, liberating mineral elements from the degradation of organic compounds as well as by forming mutualistic association with plant’s root Fig. (1a ). Bacteria and MF for instance contribute to the improvement and maintenance of soil structure [16Babalola OO, Glick BR. Indigenous African agriculture and plant associated microbes: Current practice and future transgenic prospects. Sci Res Essays 2012; 7(28): 2431-9.]. It was reported that soil parameters (such as soil pH) are involved in the establishment of microbial community and structure in soil rhizosphere [16Babalola OO, Glick BR. Indigenous African agriculture and plant associated microbes: Current practice and future transgenic prospects. Sci Res Essays 2012; 7(28): 2431-9., 17Miethling R, Wieland G, Backhaus H, Tebbe CC. Variation of microbial rhizosphere communities in response to crop species, soil origin, and inoculation with Sinorhizobium meliloti L33. Microb Ecol 2000; 40(1): 43-56. [http://dx.doi.org/10.1007/s002480000021] [PMID: 10977876] ] and that changes in microbial community composition could cause transformations in their functions [18Cristina C, Gouveia C, Dias T, Varma A, Babalola OO. How to disentangle changes in microbial function from changes in microbial community Modern Tools Tech Underst Microbes 2017; 149-58. [http://dx.doi.org/10.1007/978-3-319-49197-4_10] ] most especially in the rhizosphere. The rhizosphere Fig. (1a ) is the thin zone of soil close to plant roots and harbor a great deal of microorganisms as well as invertebrates [3Philippot L, Raaijmakers JM, Lemanceau P, van der Putten WH. Going back to the roots: The microbial ecology of the rhizosphere. Nat Rev Microbiol 2013; 11(11): 789-99. [http://dx.doi.org/10.1038/nrmicro3109] [PMID: 24056930] , 19Mendes LW, Kuramae EE, Navarrete AA, van Veen JA, Tsai SM. Taxonomical and functional microbial community selection in soybean rhizosphere. ISME J 2014; 8(8): 1577-87. [http://dx.doi.org/10.1038/ismej.2014.17] [PMID: 24553468] ]. These organisms constantly interact with one another for survival resulting in the establishment of different associations such as commensalism, parasitism, amensalism, saprophytism and symbiosis. Organisms that inhabit the rhizosphere can greatly influence plants’ growth and development [20Berendsen RL, Pieterse CM, Bakker PA. The rhizosphere microbiome and plant health. Trends Plant Sci 2012; 17(8): 478-86. [http://dx.doi.org/10.1016/j.tplants.2012.04.001] [PMID: 22564542] , 21Mendes R, Kruijt M, de Bruijn I, et al. Deciphering the rhizosphere microbiome for disease-suppressive bacteria. Science 2011; 332(6033): 1097-100. [http://dx.doi.org/10.1126/science.1203980] [PMID: 21551032] ] thereby playing significant role in sustaining the plants. Some of the microorganisms that are of great benefit to plants in the rhizosphere are rhizobacteria and MF. Taxonomic investigation demonstrated that the rhizosphere species are a subset of bulk soil species [19Mendes LW, Kuramae EE, Navarrete AA, van Veen JA, Tsai SM. Taxonomical and functional microbial community selection in soybean rhizosphere. ISME J 2014; 8(8): 1577-87. [http://dx.doi.org/10.1038/ismej.2014.17] [PMID: 24553468] ]. Many studies on microbial communities of the rhizosphere have shown the influence of plants on rhizosphere microbiota. Examples of such studies include soybean [19Mendes LW, Kuramae EE, Navarrete AA, van Veen JA, Tsai SM. Taxonomical and functional microbial community selection in soybean rhizosphere. ISME J 2014; 8(8): 1577-87. [http://dx.doi.org/10.1038/ismej.2014.17] [PMID: 24553468] ], Arabidopsis [22Bulgarelli D, Rott M, Schlaeppi K, et al. Revealing structure and assembly cues for Arabidopsis root-inhabiting bacterial microbiota. Nature 2012; 488(7409): 91-5. [http://dx.doi.org/10.1038/nature11336] [PMID: 22859207] , 23Lundberg DS, Lebeis SL, Paredes SH, et al. Defining the core Arabidopsis thaliana root microbiome. Nature 2012; 488(7409): 86-90. [http://dx.doi.org/10.1038/nature11237] [PMID: 22859206] ] and rice [24Knief C, Delmotte N, Chaffron S, et al. Metaproteogenomic analysis of microbial communities in the phyllosphere and rhizosphere of rice. ISME J 2012; 6(7): 1378-90. [http://dx.doi.org/10.1038/ismej.2011.192] [PMID: 22189496] ]. However, it is not totally clear to what degree plants can choose a consistent rhizosphere microbial composition from profoundly varying deposits of bulk soil microbial composition particularly under tropical environments [19Mendes LW, Kuramae EE, Navarrete AA, van Veen JA, Tsai SM. Taxonomical and functional microbial community selection in soybean rhizosphere. ISME J 2014; 8(8): 1577-87. [http://dx.doi.org/10.1038/ismej.2014.17] [PMID: 24553468] ]. There are two mechanisms used to explain the choice of plants’ microbial diversity in rhizospheric soil namely neutral and niche based mechanisms. The neutral based mechanism explains that since most species have the same abilities in exploiting niches, microbial composition is influenced by spatial distance between plants due to low recruitment realization and dispersal restriction. The niche based approach shows that environmental changes are related to variation in microbial community composition. Mendes, et al. 2014 [19Mendes LW, Kuramae EE, Navarrete AA, van Veen JA, Tsai SM. Taxonomical and functional microbial community selection in soybean rhizosphere. ISME J 2014; 8(8): 1577-87. [http://dx.doi.org/10.1038/ismej.2014.17] [PMID: 24553468] ] reported that soybean chooses a particular microbial group in the rhizosphere based on functional characteristics that might be useful to the plant in relation to nutrient uptake and growth enhancement. This selection ability possessed by soybean plant could be explained by niche based hypothesis, showing the strong ability of the plant to determine the richness and abundance of microorganisms in the rhizosphere and other ecological changes that influence microbial diversity. Species in the rhizosphere mainly migrate from the bulk soil Fig. (1a ) and environmental changes in the bulk soil could affect the structure and composition of microbial community in the rhizosphere. Rhizosphere microorganisms use nutrients such as mucilage and exudates liberated by plant roots and these nutrients influence the microbial diversity and function within the rhizosphere [12Mendes R, Garbeva P, Raaijmakers JM. The rhizosphere microbiome: Significance of plant beneficial, plant pathogenic, and human pathogenic microorganisms. FEMS Microbiol Rev 2013; 37(5): 634-63. [http://dx.doi.org/10.1111/1574-6976.12028] [PMID: 23790204] ]. Root released flavonoids, different organic acids and cutin monomers that are involved in regulation of plant root-microbial interactions as well as microbial gene expression [25Venturi V, Keel C. Signaling in the Rhizosphere. Trends Plant Sci 2016; 21(3): 187-98. [http://dx.doi.org/10.1016/j.tplants.2016.01.005] [PMID: 26832945] ]. It is very possible that many other chemical signals produced and secreted by the root will be recognized and possibly deployed to improve microbial colonization of the root for sustainable agricultural development. It was recently reported that methyl salicylate secreted from the root could trigger root colonization by beneficial Bacillus subtilis [26Kobayashi K. Plant methyl salicylate induces defense responses in the rhizobacterium Bacillus subtilis. Environ Microbiol 2015; 17(4): 1365-76. [http://dx.doi.org/10.1111/1462-2920.12613] [PMID: 25181478] ]. Beneficial microorganisms in the rhizosphere vigorously respond to root exudates by tuning their transcriptional machinery toward traits associated with mobility, detoxification, chemotaxis, secondary metabolism, biofilm formation and polysaccharide degradation [27Zhang N, Yang D, Wang D, et al. Whole transcriptomic analysis of the plant-beneficial rhizobacterium Bacillus amyloliquefaciens SQR9 during enhanced biofilm formation regulated by maize root exudates. BMC Genomics 2015; 16(1): 685. [http://dx.doi.org/10.1186/s12864-015-1825-5] [PMID: 26346121] , 28Balsanelli E, Tadra-Sfeir MZ, Faoro H, et al. Molecular adaptations of Herbaspirillum seropedicae during colonization of the maize rhizosphere. Environ Microbiol 2016; 18(8): 2343-56. [http://dx.doi.org/10.1111/1462-2920.12887] [PMID: 25923055] ]. Once beneficial microorganisms are established in the rhizosphere, the root exudates might serve as environmental signals to enhance biofilm formation on the surface of the root [29Beauregard PB, Chai Y, Vlamakis H, Losick R, Kolter R. Bacillus subtilis biofilm induction by plant polysaccharides. Proc Natl Acad Sci USA 2013; 110(17): E1621-30. [http://dx.doi.org/10.1073/pnas.1218984110] [PMID: 23569226] ]. Many published articles have excellently described the mechanisms, functions and communication signals involved in root-microbial interactions [4Rasmann S, Turlings TC. Root signals that mediate mutualistic interactions in the rhizosphere. Curr Opin Plant Biol 2016; 32: 62-8. [http://dx.doi.org/10.1016/j.pbi.2016.06.017] [PMID: 27393937] , 30Bednarek P, Kwon C, Schulze-Lefert P. Not a peripheral issue: Secretion in plant-microbe interactions. Curr Opin Plant Biol 2010; 13(4): 378-87. [http://dx.doi.org/10.1016/j.pbi.2010.05.002] [PMID: 20558098] -33El Zahar Haichar F, Santaella C, Heulin T, Achouak W. Root exudates mediated interactions belowground. Soil Biol Biochem 2014; 77: 69-80. [http://dx.doi.org/10.1016/j.soilbio.2014.06.017] ]. Natural interactions in the rhizosphere. (a) symbiotic interactions between plant’s root and Rh/AMF (b) amensalistic interaction between antibiotic-producing rhizobacteria and protozoans (c) parasitic interaction between the bacterium Pasteuria penetrans and root-knots nematode in the rhizosphere. Rh stands for rhizobacteria and AMF stands for arbuscular mycorrhizal fungi. Microorganisms interact with plants in the natural environment and such interactions are important in ecosystem functioning. Some of the interactions protect the host plants against pathogens and provide nutrients for the hosts while others are detrimental to the plant. Beneficial microbial interactions in the soil have been found useful in enhancing and improving agricultural crops development Table 1. Soybean (Glycine max L) which is a leguminous plant belonging to the order Fabales, family Leguminosae has the potential of forming symbiotic associations with rhizosphere microbiota [34Rascovan N, Carbonetto B, Perrig D, et al. Integrated analysis of root microbiomes of soybean and wheat from agricultural fields. Sci Rep 2016; 6: 28084. [http://dx.doi.org/10.1038/srep28084] [PMID: 27312589] ] including MF. It has been reported that these microbial symbionts support their hosts in the environment. This is an interaction between two species in an ecosystem in which one species has effect on the other. Some antagonists synthesize enzymes such as cellulases, chitinases, protein and lipid degrading enzymes that have the potential to lyse the cell walls of fungal pathogens [35Kundan R, Pant G, Jadon N, Agrawal P. Plant growth promoting rhizobacteria: mechanism and current prospective. J Fertil Pestic 2015; 6(2): 9. [http://dx.doi.org/10.4172/2471-2728.1000155] ]. Rhizobacteria are able to reduce the adverse effect of pathogenic microorganisms in the rhizosphere through this interaction. For instance, Firmicutes, Actinobacteria and Proteobacteria play essential role in suppressing the disease caused by root-infecting fungal pathogen Rhizoctonia solani and this led to the suggestion that certain interactions are fundamental to disease suppression [36Schenk PM, Carvalhais LC, Kazan K. Unraveling plant-microbe interactions: Can multi-species transcriptomics help? Trends Biotechnol 2012; 30(3): 177-84. [http://dx.doi.org/10.1016/j.tibtech.2011.11.002] [PMID: 22209623] ]. A study of antagonistic bacteria to eradicate the effect of R. solani on lettuce demonstrated that the bacteria had temporary effects on indigenous rhizobacteria and endophytic fungi [37Scherwinski K, Grosch R, Berg G. Effect of bacterial antagonists on lettuce: Active biocontrol of Rhizoctonia solani and negligible, short-term effects on nontarget microorganisms. FEMS Microbiol Ecol 2008; 64(1): 106-16. [http://dx.doi.org/10.1111/j.1574-6941.2007.00421.x] [PMID: 18248441] ]. Another report highlighted that the use of antagonistic bacteria on lettuce minimize the disturbance to resident fungal and bacterial species caused when R. solani alone was present [38Adesina MF, Grosch R, Lembke A, Vatchev TD, Smalla K. In vitro antagonists of Rhizoctonia solani tested on lettuce: Rhizosphere competence, biocontrol efficiency and rhizosphere microbial community response. FEMS Microbiol Ecol 2009; 69(1): 62-74. [http://dx.doi.org/10.1111/j.1574-6941.2009.00685.x] [PMID: 19486156] ]. Negative effects on symbiotic AMF would explain the unpredictable outcomes of field application of this antagonist [39Frey-Klett P, Burlinson P, Deveau A, Barret M, Tarkka M, Sarniguet A. Bacterial-fungal interactions: Hyphens between agricultural, clinical, environmental, and food microbiologists. Microbiol Mol Biol Rev 2011; 75(4): 583-609. [http://dx.doi.org/10.1128/MMBR.00020-11] [PMID: 22126995] ]. However, it was reported that beneficial bacteria Pseudomonas fluorescens F113, which releases antifungal compound 2, 4-diacetylphloroglucinol, was not harmful to AMF Glomus mosseae but basically enhanced root colonization by the fungus symbiotic species [40Barea JM, Andrade G, Bianciotto V, et al. Impact on arbuscular mycorrhiza formation of pseudomonas strains used as inoculants for biocontrol of soil-borne fungal plant pathogens. Appl Environ Microbiol 1998; 64(6): 2304-7. [PMID: 9603857] ]. Besides bacteria, some fungal species may contribute to mycorrhizal establishment while they inhibit other fungal species. This implies that, there are certain fungi that inhibit other fungal species. Hence, it is essential to establish “fungus specificity of mycorrhizal helper bacteria” since some helper fungal species have been found to enhance mycorrhizal establishment and inhibit other non-helper fungi [41Garbaye J. Mycorrhization helper bacteria: A new dimension to the mycorrhizal symbiosis interaction, specificity1994.]. Antifungal specificity can therefore be a criterion for a better selection of antagonists as biocontrol agents in the future. Other rhizobacteria such as Rhizobium and Bacillus produce siderophores [35Kundan R, Pant G, Jadon N, Agrawal P. Plant growth promoting rhizobacteria: mechanism and current prospective. J Fertil Pestic 2015; 6(2): 9. [http://dx.doi.org/10.4172/2471-2728.1000155] ] which deprive pathogens of iron acquisition from the environment, thus affecting the existence of the pathogens. This eventually culminates in enhancing plant growth and productivity. This is an interaction between dissimilar organisms in which one of the organisms leaves detrimental effects on another one. In this type of interaction, chemical released by an organism could damage or kill another organism. Amensalism also known as antibiosis leads to the production of antimicrobial substance by one microorganism which may be detrimental to the other microorganisms. The release of antibiotics is the most commonly used mechanism of amensalism in bacteria against their host pathogens. These antibiotics are “low molecular weight compounds” capable of destroying or hampering the enzymatic and metabolic reactions of pathogenic microorganisms thereby retarding their growth [35Kundan R, Pant G, Jadon N, Agrawal P. Plant growth promoting rhizobacteria: mechanism and current prospective. J Fertil Pestic 2015; 6(2): 9. [http://dx.doi.org/10.4172/2471-2728.1000155] ]. Since many beneficial microorganisms such as Pseudomonas species are confronted with several predators [42Weller DM, Landa BB, Mavrodi OV, et al. Role of 2,4-diacetylphloroglucinol-producing fluorescent Pseudomonas spp. in the defense of plant roots. Plant Biol (Stuttg) 2007; 9(1): 4-20. [http://dx.doi.org/10.1055/s-2006-924473] [PMID: 17058178] ]; the production of metabolites detrimental to these predators is crucial. Indeed, the elimination of these bacteria from the soil by these nematodes and other predators will result in loss of diversity of plant growth promoting rhizobacteria and such biodiversity loss may affect plant growth and productivity. However some microorganisms have developed escape strategy by producing secondary metabolites. The bio-production of secondary metabolites might be important in reducing vulnerability of bacteria to bacterivorous (organisms that feed on bacteria) predators Fig. (1b ). Studies have shown that Pseudomonas fluorescens produced 2, 4-diacetylphloroglucinol (2, 4-DAPG) that lyses protists [42Weller DM, Landa BB, Mavrodi OV, et al. Role of 2,4-diacetylphloroglucinol-producing fluorescent Pseudomonas spp. in the defense of plant roots. Plant Biol (Stuttg) 2007; 9(1): 4-20. [http://dx.doi.org/10.1055/s-2006-924473] [PMID: 17058178] ]. However, abuse of antibiotic releasing rhizobacteria has the shortcoming of causing the emergence of antibiotic resistant pathogens. In another study, 2, 4-DAPG improved the survival of P. fluorescens by enhancing its tolerance to attack by the predatory protozoan Acanthamoeba castellanii. On the contrary, Pf-5 and Q8r1-96 strains of P. fluorescens deficient in 2, 4-DAPG were resistant to attack by Naegleria americana and Colpoda species while the gacA-mutants of the bacterial species were susceptible to predation by these predatory protists. These complementary findings indicates that the ability of 2,4-DAPG to serve as escape mechanism from predatory enemy is bacterial strain and/or predator specific [43Raaijmakers JM, Mazzola M. Diversity and natural functions of antibiotics produced by beneficial and plant pathogenic bacteria. Annu Rev Phytopathol 2012; 50: 403-24. [http://dx.doi.org/10.1146/annurev-phyto-081211-172908] [PMID: 22681451] ]. Bacillus, Streptomyces and Pseudomonas produced bioactive lipopeptides able to distort cell membrane integrity resulting in death of microbial pathogens including oomycetes and trophozoites of N. americana. Viscosin and massetolide lipopeptide produced by two different strains of P. fluorescens protect the bacterial strains from predation by N. Americana. Bacterial strains with lipopeptide production potential are described as more tolerant to protozoan enemy than lipopeptide deficient strains. However, both strains have the same growth rate in soil where N. American species are absent [43Raaijmakers JM, Mazzola M. Diversity and natural functions of antibiotics produced by beneficial and plant pathogenic bacteria. Annu Rev Phytopathol 2012; 50: 403-24. [http://dx.doi.org/10.1146/annurev-phyto-081211-172908] [PMID: 22681451] ]. In this interaction, one organism benefits at the expense of the other Table 1. Metabolomics investigation of the parasitic association between the fungal parasite Stachybotrys elegans and R. solani revealed the expression of different concentrations of secondary metabolites. In the study, overexpression of parasitic and pyridoxal reductase enzyme gene was observed for S. elegans and R. solani respectively. In addition, S. elegans released enzymes involved in cell wall degradation including trichothecenes and atranones toxins. The trichothecenes produced by S. elegans have been reported to have effect on R. solani metabolism and development [2Braga RM, Dourado MN, Araújo WL. Microbial interactions: Ecology in a molecular perspective. Braz J Microbiol 2016; 47(Suppl. 1): 86-98. [http://dx.doi.org/10.1016/j.bjm.2016.10.005] [PMID: 27825606] , 44Chamoun R, Aliferis KA, Jabaji S. Identification of signatory secondary metabolites during mycoparasitism of Rhizoctonia solani by Stachybotrys elegans. Front Microbiol 2015; 6: 353. [http://dx.doi.org/10.3389/fmicb.2015.00353] [PMID: 25972848] ]. Trichothecenes are also known to hinder protein synthesis and induce oxidative stress in eukaryotes [2Braga RM, Dourado MN, Araújo WL. Microbial interactions: Ecology in a molecular perspective. Braz J Microbiol 2016; 47(Suppl. 1): 86-98. [http://dx.doi.org/10.1016/j.bjm.2016.10.005] [PMID: 27825606] ]. The impacts of AMF and bacterial species on nematodes have also been studied. The bacteria Pasteuria penetrans was reported to reduce root-knots nematodes growth via a parasitic interaction Fig. (1c ). The bacteria multiply within the infected nematodes resulting in their death and infertility in those that are able to survive. There was also a reduction in the mobility and penetration of young nematodes into plant roots when a large number of bacterial spores glued to the young nematodes in the soil [1Flor-Peregrín E, Azcón R, Martos V, Verdejo-Lucas S, Talavera M. Effects of dual inoculation of mycorrhiza and endophytic, rhizospheric or parasitic bacteria on the root-knot nematode disease of tomato. Biocontrol Sci Technol 2014; 24(10): 1122-36. [http://dx.doi.org/10.1080/09583157.2014.925091] ]. Plants have also developed their own defense mechanisms to combat pathogens. RNA-seq was recently used to detect plant genes involved in defense responses to the plant root pathogen Verticillium dahliae [45Xu L, Zhu L, Tu L, et al. Lignin metabolism has a central role in the resistance of cotton to the wilt fungus Verticillium dahliae as revealed by RNA-Seq-dependent transcriptional analysis and histochemistry. J Exp Bot 2011; 62(15): 5607-21. [http://dx.doi.org/10.1093/jxb/err245] [PMID: 21862479] ]. Additionally, plant-based microarray transcriptomics analyses have unveiled a web of signal transduction pathways activated upon recognition of elicitors with defense signaling compounds and Pathogen-Associated Molecular Patterns (PAMPs) [46Sana TR, Fischer S, Wohlgemuth G, et al. Metabolomic and transcriptomic analysis of the rice response to the bacterial blight pathogen Xanthomonas oryzae pv. oryzae. Metabolomics 2010; 6(3): 451-65. [http://dx.doi.org/10.1007/s11306-010-0218-7] [PMID: 20676379] ] as microorganisms naturally interact with plant roots in the rhizosphere. It would be valuable to encourage the interactions between all organisms in the greenhouse and to search for beneficial rhizosphere microorganisms that may have parasitic and antagonistic impacts on plant pathogens. Symbiotic interaction is a mutualistic association in which the two organisms involved in the association benefit as exemplified in the relationship between leguminous plants Table 1. and nitrogen fixing bacteria [47Tajini F, Trabelsi M, Drevon J. Comparison between the reference Rhizobium tropici CIAT899 and the native Rhizobium etli 12a3 for some nitrogen fixation parameters in common bean (Phaseolus vulgaris L.) under water stress. Afr J Microbiol Res 2012; 6(18): 4058-67.]. The conversion of atmospheric nitrogen by nitrogen-fixing bacteria to plant’s utilizable ammonia form is termed nitrogen fixation. Rhizobacteria do not only assist plant with nitrogen fixation and nutrient acquisition in symbiotic interactions, they also produce different signaling compounds to impact their hosts for improving plant development and tolerance to abiotic and biotic stress. Some rhizobacteria species release different compounds that elicit ISR in plant and these compounds include 2, 3-butanediol (volatile organic chemical), diffusible signal factor diketopiperazines, antibiotics produced by rhizosphere associated pseudomonads, polyketides and lipopeptides produced by rhizosphere associated bacilli, biosurfactants and siderophores [48Pieterse CM, Zamioudis C, Berendsen RL, Weller DM, Van Wees SC, Bakker PA. Induced systemic resistance by beneficial microbes. Annu Rev Phytopathol 2014; 52: 347-75. [http://dx.doi.org/10.1146/annurev-phyto-082712-102340] [PMID: 24906124] -50Sieper T, Forczek S, Matucha M, Krämer P, Hartmann A, Schröder P. N-acyl-homoserine lactone uptake and systemic transport in barley rest upon active parts of the plant. New Phytol 2014; 201(2): 545-55. [http://dx.doi.org/10.1111/nph.12519] [PMID: 24102510] ]. The mutualist B. subtilis released volatile compounds such as butanediol which was reported to elicit induced systemic resistance by modulating the transcription of sodium ion transporter 1 in plants [48Pieterse CM, Zamioudis C, Berendsen RL, Weller DM, Van Wees SC, Bakker PA. Induced systemic resistance by beneficial microbes. Annu Rev Phytopathol 2014; 52: 347-75. [http://dx.doi.org/10.1146/annurev-phyto-082712-102340] [PMID: 24906124] , 51Zhang H, Kim M-S, Sun Y, Dowd SE, Shi H, Paré PW. Soil bacteria confer plant salt tolerance by tissue-specific regulation of the sodium transporter HKT1. Mol Plant Microbe Interact 2008; 21(6): 737-44. [http://dx.doi.org/10.1094/MPMI-21-6-0737] [PMID: 18624638] ]. Rhizobacteria also release compounds that specifically influence root development by inhibiting elongation of primary root and enhancing lateral root formation. Some of these bacteria including fungi produce auxins which interfere with the signaling of this compound in the root [52Spaepen S, Bossuyt S, Engelen K, Marchal K, Vanderleyden J. Phenotypical and molecular responses of Arabidopsis thaliana roots as a result of inoculation with the auxin-producing bacterium Azospirillum brasilense. New Phytol 2014; 201(3): 850-61. [http://dx.doi.org/10.1111/nph.12590] [PMID: 24219779] ]. But, auxins derivatives released by Piriformospora indica (root endophyte) do not play role in root enhancement of barley plant; instead, they are needed for biotrophic infection of the plant root [53Lee Y-C, Johnson JM, Chien C-T, et al. Growth promotion of Chinese cabbage and Arabidopsis by Piriformospora indica is not stimulated by mycelium-synthesized auxin. Mol Plant Microbe Interact 2011; 24(4): 421-31. [http://dx.doi.org/10.1094/MPMI-05-10-0110] [PMID: 21375386] , 54Hilbert M, Voll LM, Ding Y, Hofmann J, Sharma M, Zuccaro A. Indole derivative production by the root endophyte Piriformospora indica is not required for growth promotion but for biotrophic colonization of barley roots. New Phytol 2012; 196(2): 520-34. [http://dx.doi.org/10.1111/j.1469-8137.2012.04275.x] [PMID: 22924530] ]. Root zone-associated bacteria and fungi also produce dimethyl disulfide and pyocyanin [55Meldau DG, Meldau S, Hoang LH, Underberg S, Wünsche H, Baldwin IT. Dimethyl disulfide produced by the naturally associated bacterium bacillus sp B55 promotes Nicotiana attenuata growth by enhancing sulfur nutrition. Plant Cell 2013; 25(7): 2731-47. [http://dx.doi.org/10.1105/tpc.113.114744] [PMID: 23903320] , 56Ortiz-Castro R, Pelagio-Flores R, Méndez-Bravo A, Ruiz-Herrera LF, Campos-García J, López-Bucio J. Pyocyanin, a virulence factor produced by Pseudomonas aeruginosa, alters root development through reactive oxygen species and ethylene signaling in Arabidopsis. Mol Plant Microbe Interact 2014; 27(4): 364-78. [http://dx.doi.org/10.1094/MPMI-08-13-0219-R] [PMID: 24224532] ] that regulate plant root development by modulating auxins signaling process. In addition, AMF interactions with plant roots have been reported to influence the aboveground interaction between plant and herbivore, a process that eventually leads to plants’ protection [57Babikova Z, Gilbert L, Bruce TJ, et al. Underground signals carried through common mycelial networks warn neighbouring plants of aphid attack. Ecol Lett 2013; 16(7): 835-43. [http://dx.doi.org/10.1111/ele.12115] [PMID: 23656527] , 58Gilbert L, Johnson D. Plant-mediated ‘apparent effects’ between mycorrhiza and insect herbivores. Curr Opin Plant Biol 2015; 26: 100-5. [http://dx.doi.org/10.1016/j.pbi.2015.06.008] [PMID: 26190588] ]. AMF establish symbioses with over 80% terrestrial plants Fig. (1a ) unlike rhizobia which are limited to leguminous plants and Parasponia species belonging to the Cannabaceae family [3Philippot L, Raaijmakers JM, Lemanceau P, van der Putten WH. Going back to the roots: The microbial ecology of the rhizosphere. Nat Rev Microbiol 2013; 11(11): 789-99. [http://dx.doi.org/10.1038/nrmicro3109] [PMID: 24056930] ]. AMF symbioses are mainly important to plants cultivated in phosphorus deficient environment where they aid the plants to access inorganic phosphorus that ordinarily are not bioavailable to plants. Increased productivity of soybean that was symbiotically attached to AMF was attributed to enhanced uptake of phosphorus [59Abdel-Fattah G, Asrar A, Al-Amri S, Abdel-Salam E. Influence of arbuscular mycorrhiza and phosphorus fertilization on the gas exchange, growth and phosphatase activity of soybean (Glycine max L.) plants. Photosynthetica 2014; 52(4): 581-8. [http://dx.doi.org/10.1007/s11099-014-0067-0] ]. AMF can also transport nitrogen and sulfur to host plants, and high level of sulfur content which regulated the “sulfate transporter gene” in a host plant has been previously reviewed [6Igiehon NO, Babalola OO. Biofertilizers and sustainable agriculture: Exploring arbuscular mycorrhizal fungi. Appl Microbiol Biotechnol 2017; 101(12): 4871-81. [http://dx.doi.org/10.1007/s00253-017-8344-z] [PMID: 28547568] ]. Belowground symbiosis does not only occur between microorganisms and plant, but also there are symbioses that involve interaction between one microorganism and another. 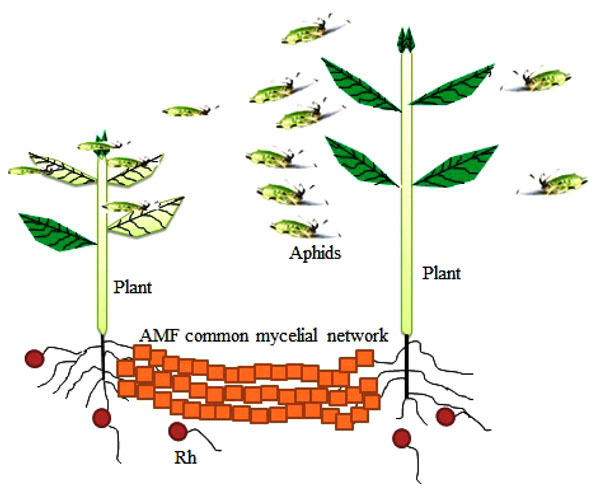 The association between beneficial bacteria and AMF is symbiotic since the bacteria aid the mycorrhizal in establishing symbiosis while AMF promote bacterial invasion potential and diversity. However, there are other benefits accrued to such interactions. Symbiotic relationship has also been shown to exist between the bacterium Burkholderia and Rhizopus (fungus) and it was reported that in the absence of Burkholderia species, the fungus Rhizopus was unable to sporulate indicating that the fungus rely on compounds produced by the bacterium to survive [2Braga RM, Dourado MN, Araújo WL. Microbial interactions: Ecology in a molecular perspective. Braz J Microbiol 2016; 47(Suppl. 1): 86-98. [http://dx.doi.org/10.1016/j.bjm.2016.10.005] [PMID: 27825606] ]. This interaction is not well comprehended with respects to the metabolites and processes involved. Benefits of microbial interactions on plants under well-watered and drought stress conditions. Symbiosis between two different species does not take place in isolation in a natural environment. Symbionts are rather embedded in midst of multiple symbiotic interactions. Multiple interactions are reported to change the health benefit of different plant cultivars involved in the interaction as well as environmental ratio of cost to benefit within a focal interaction. Multiplayer impacts in symbiotic interactions also known as Multiple Symbiotic Impacts (MSIs) are widespread. However, the effects of the impacts differ and depend on several factors. In a symbiotic interaction involving plant host and two microbial partners, these factors include intersection of benefit flowing from the host and microbial symbionts, mutualistic interaction cost, the extent to which the host can sustain the interaction cost and the conserved regions in host genomes that regulate the mutualists [60Afkhami ME, Rudgers JA, Stachowicz JJ. Multiple mutualist effects: Conflict and synergy in multispecies mutualisms. Ecology 2014; 95(4): 833-44. [http://dx.doi.org/10.1890/13-1010.1] [PMID: 24933804] -62Wise MJ, Rausher MD. Evolution of resistance to a multiple-herbivore community: Genetic correlations, diffuse coevolution, and constraints on the plant’s response to selection. Evolution 2013; 67(6): 1767-79. [http://dx.doi.org/10.1111/evo.12061] [PMID: 23730768] ]. Studies have shown how several mutualistic microorganisms interacting with the same plant host impact one another. Plants generally undergo symbiotic interactions with several belowground and aboveground symbionts like rhizobacteria, AMF and different endophytic microorganisms. Abd-Alla, El-Enany [63Abd-Alla MH, El-Enany A-WE, Nafady NA, Khalaf DM, Morsy FM. Synergistic interaction of Rhizobium leguminosarum bv. viciae and arbuscular mycorrhizal fungi as a plant growth promoting biofertilizers for faba bean (Vicia faba L.) in alkaline soil. Microbiol Res 2014; 169(1): 49-58. [http://dx.doi.org/10.1016/j.micres.2013.07.007] [PMID: 23920230] ] reported that leguminous plants establish tripartite mutualistic interactions with rhizobacteria species and AMF (Fig. 2 ). Plant interactions with several symbionts allow them to obtain enormous benefits which enhance their growth and productivity, resistance to different diseases, pest attacks and abiotic stresses [3Philippot L, Raaijmakers JM, Lemanceau P, van der Putten WH. Going back to the roots: The microbial ecology of the rhizosphere. Nat Rev Microbiol 2013; 11(11): 789-99. [http://dx.doi.org/10.1038/nrmicro3109] [PMID: 24056930] , 64Gao X, Lu X, Wu M, et al. Co-inoculation with rhizobia and AMF inhibited soybean red crown rot: From field study to plant defense-related gene expression analysis. PLoS One 2012; 7(3): e33977. [http://dx.doi.org/10.1371/journal.pone.0033977] [PMID: 22442737] -66Redman RS, Kim YO, Woodward CJ, et al. Increased fitness of rice plants to abiotic stress via habitat adapted symbiosis: A strategy for mitigating impacts of climate change. PLoS One 2011; 6(7): e14823. [http://dx.doi.org/10.1371/journal.pone.0014823] [PMID: 21750695] ]. Investigating the mechanisms on how the diversity of these mutualists impact each other including the plant host is not well understood, but such investigation is important to get insights into how hosts are able to simultaneously sustain several mutualistic partners in a MSIs [60Afkhami ME, Rudgers JA, Stachowicz JJ. Multiple mutualist effects: Conflict and synergy in multispecies mutualisms. Ecology 2014; 95(4): 833-44. [http://dx.doi.org/10.1890/13-1010.1] [PMID: 24933804] ]. 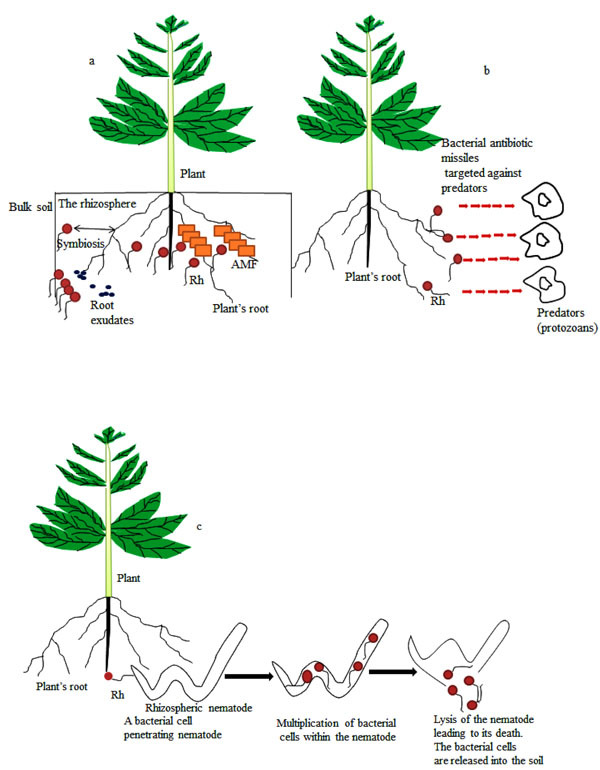 Tripartite interaction involving a leguminous plant (soybean), Rh and AMF. Rh stands for rhizobacteria and AMF stands for arbuscular mycorrhizal fungi. The cost of sustaining organisms involved in symbiotic relationships could result in tradeoffs among host input [67Ossler JN, Zielinski CA, Heath KD. Tripartite mutualism: Facilitation or trade-offs between rhizobial and mycorrhizal symbionts of legume hosts. Am J Bot 2015; 102(8): 1332-41. [http://dx.doi.org/10.3732/ajb.1500007] [PMID: 26290556] ]. Indeed, it has been observed that in plants that interact with AMF and protective endophytic fungi, the existence of the endophytic fungi triggered a reduction in the level of host colonization by the AMF. If such interactions are important, in an MSI involving plant host in the field, negative correlation will arise between the levels of abundance of the microbial symbionts; that is, increase in the colonization level of one symbiont will lead to a corresponding decrease in the colonization level of the second symbiont. However, if the existence of one of the symbionts enhances nutrient uptake by the plant host and/or increases the amount of carbon substrate release to the second symbiont, then the correlation of the colonization levels between the two symbionts interacting with the same plant will be positive [60Afkhami ME, Rudgers JA, Stachowicz JJ. Multiple mutualist effects: Conflict and synergy in multispecies mutualisms. Ecology 2014; 95(4): 833-44. [http://dx.doi.org/10.1890/13-1010.1] [PMID: 24933804] ]. For instance, ant and coccoid scale are mutualists of Macaranga trees; increase in the richness of ant occurs with concomitant increase in the richness of coccoid scales. Perhaps, the high amount of honeydew released by the coccoid scales enhances ant protection [61Heath KD, McGhee KE. Coevolutionary constraints? The environment alters tripartite interaction traits in a legume. PLoS One 2012; 7(7): e41567. [http://dx.doi.org/10.1371/journal.pone.0041567] [PMID: 22859998] , 67Ossler JN, Zielinski CA, Heath KD. Tripartite mutualism: Facilitation or trade-offs between rhizobial and mycorrhizal symbionts of legume hosts. Am J Bot 2015; 102(8): 1332-41. [http://dx.doi.org/10.3732/ajb.1500007] [PMID: 26290556] ]. The existence of multispecies interactions involving leguminous plants, rhizobacteria and AMF is critical to understanding the importance of mutualisms in a terrestrial environment Fig. (2 ). Each of the microbial mutualists plays a key role in such interaction by enhancing nutrient uptake, plant yields and community structure [68Bauer JT, Kleczewski NM, Bever JD, Clay K, Reynolds HL. Nitrogen-fixing bacteria, arbuscular mycorrhizal fungi, and the productivity and structure of prairie grassland communities. Oecologia 2012; 170(4): 1089-98. [http://dx.doi.org/10.1007/s00442-012-2363-3] [PMID: 22684866] ]. Legumes develop structures in their roots termed nodules which harbor rhizobial species that convert atmospheric nitrogen to the form that can be utilized by the plants. In addition, leguminous crops such as soybean associate with AMF, which have the potential of infecting plant roots and establishing complex intraradical assemblies made up of arbuscules, vesicles, spores and hyphae that assist plants with nutrient uptake. The rhizobacteria and AMF on the other hand utilize the plant’s photosynthetically produced carbon substrates which may determine the extent of root colonization by the microbial symbionts. Co-inoculation of both the rhizobacterial species and AMF results in a synergistic impact on host diversity, development and health, which can be greater than the impact expected from a single inoculation [69Larimer AL, Clay K, Bever JD. Synergism and context dependency of interactions between arbuscular mycorrhizal fungi and rhizobia with a prairie legume. Ecology 2014; 95(4): 1045-54. [http://dx.doi.org/10.1890/13-0025.1] [PMID: 24933822] ]. It is noteworthy that genetic investigations have revealed commonality in plants genome involved in symbiotic relationship and control of AMF and rhizobacteria indicating that such plant-microbial interactions may have evolutionary linkage [70Takeda N, Tsuzuki S, Suzaki T, Parniske M, Kawaguchi M. CERBERUS and NSP1 of Lotus japonicus are common symbiosis genes that modulate arbuscular mycorrhiza development. Plant Cell Physiol 2013; 54(10): 1711-23. [http://dx.doi.org/10.1093/pcp/pct114] [PMID: 23926062] ]. Leguminous plants possess unique receptors for discriminating Rhizobium and AMF symbionts; even though the symbionts however have common SYM genes that regulate the establishment of symbiotic association. AMF and rhizobacterial colonization of densely infected plant roots can be controlled in a process called autoregulation [71Sakamoto K, Ogiwara N, Kaji T. Involvement of autoregulation in the interaction between rhizobial nodulation and AM fungal colonization in soybean roots. Biol Fertil Soils 2013; 49(8): 1141-52. [http://dx.doi.org/10.1007/s00374-013-0804-8] ]. It is evident that AMF influence the persistence and performance of rhizobacterial nodulation and vice versa. AMF have been reported to enhance nodule biomass, reduction in acetylene activity and plant root nodulation richness which may have occurred as a result of increased uptake of phosphorus by the plant [63Abd-Alla MH, El-Enany A-WE, Nafady NA, Khalaf DM, Morsy FM. Synergistic interaction of Rhizobium leguminosarum bv. viciae and arbuscular mycorrhizal fungi as a plant growth promoting biofertilizers for faba bean (Vicia faba L.) in alkaline soil. Microbiol Res 2014; 169(1): 49-58. [http://dx.doi.org/10.1016/j.micres.2013.07.007] [PMID: 23920230] , 69Larimer AL, Clay K, Bever JD. Synergism and context dependency of interactions between arbuscular mycorrhizal fungi and rhizobia with a prairie legume. Ecology 2014; 95(4): 1045-54. [http://dx.doi.org/10.1890/13-0025.1] [PMID: 24933822] , 71Sakamoto K, Ogiwara N, Kaji T. Involvement of autoregulation in the interaction between rhizobial nodulation and AM fungal colonization in soybean roots. Biol Fertil Soils 2013; 49(8): 1141-52. [http://dx.doi.org/10.1007/s00374-013-0804-8] , 72Wang X, Pan Q, Chen F, Yan X, Liao H. Effects of co-inoculation with arbuscular mycorrhizal fungi and rhizobia on soybean growth as related to root architecture and availability of N and P. Mycorrhiza 2011; 21(3): 173-81. [http://dx.doi.org/10.1007/s00572-010-0319-1] [PMID: 20544230] ]. Rhizobacterial inoculation could also affect AMF by either increasing or decreasing their colonization level. There are reports on how interactions in the rhizosphere affect aboveground interactions with pathogens, decomposers, carnivores, mutualists and herbivores [90Van der Heijden MG, Klironomos JN, Ursic M, et al. Mycorrhizal fungal diversity determines plant biodiversity, ecosystem variability and productivity. Nature 1998; 396(6706): 69-72. [http://dx.doi.org/10.1038/23932] ]. 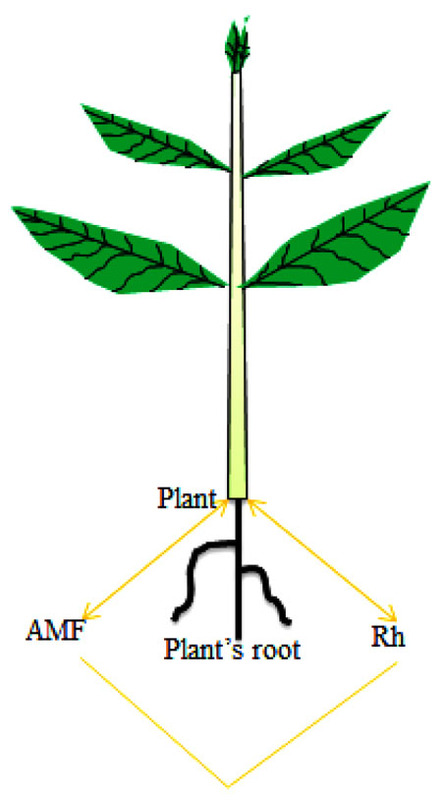 These ‘below-ground-above ground interactions’ in plant can be triggered by changes in water and nutrient uptake or modification in plant defenses [91Staley JT, Mortimer SR, Morecroft MD, Brown VK, Masters GJ. Summer drought alters plant-mediated competition between foliar-and root-feeding insects. Glob Change Biol 2007; 13(4): 866-77.]. Rhizospheric fungi such as AMF, as well as rhizobacteria (e.g. species of Rhizobium Bacillus and Pseudomonas) can elicit the systemic host immune responses that naturally help the plant to resist to pathogens and pests from the aboveground plant biomass [92Zamioudis C, Pieterse CM. Modulation of host immunity by beneficial microbes. Mol Plant Microbe Interact 2012; 25(2): 139-50. [http://dx.doi.org/10.1094/MPMI-06-11-0179] [PMID: 21995763] ]. In particular, the plant response to the aboveground herbivore may be due to the interaction of the plant with belowground AMF (Fig. 3 ). On the other hand, induced defense response in the phyllosphere could spread to the roots and affect rhizosphere microorganisms [93De Roman M, Fernandez I, Wyatt T, Sahrawy M, Heil M, Pozo MJ. Elicitation of foliar resistance mechanisms transiently impairs root association with arbuscular mycorrhizal fungi. J Ecol 2011; 99(1): 36-45. [http://dx.doi.org/10.1111/j.1365-2745.2010.01752.x] ]. Rhizobacteria trigger systemic resistance in plants by activating defense responses further exemplified upon pathogen attack. These immune responses are modulated by plant-derived jasmonic acid, ethylene and salicyclic acid leading to secondary metabolites production, oxidative burst as well as cell wall reinforcement. For instance, the type and concentration of secondary metabolites that are detrimental to herbivores were modulated in the plant by rhizosphere microbiotas [94Joosten L, Mulder PP, Klinkhamer PG, van Veen JA. Soil-borne microorganisms and soil-type affect pyrrolizidine alkaloids in Jacobaea vulgaris. Plant Soil 2009; 325(1-2): 133. [http://dx.doi.org/10.1007/s11104-009-9963-7] ]. Rhizobacteria do not only facilitate the production of defense metabolites such as glucosinolates, they also enhance plant metabolites production with unknown structures and functions [95van de Mortel JE, de Vos RC, Dekkers E, et al. Metabolic and transcriptomic changes induced in Arabidopsis by the rhizobacterium Pseudomonas fluorescens SS101. Plant Physiol 2012; 160(4): 2173-88. [http://dx.doi.org/10.1104/pp.112.207324] [PMID: 23073694] ]. The phyllosphere is the part of the plant that is above the ground level mainly the region around the leaves. Studies have shown how belowground associations can affect aboveground (phyllosphere) interactions with herbivores and carnivores [3Philippot L, Raaijmakers JM, Lemanceau P, van der Putten WH. Going back to the roots: The microbial ecology of the rhizosphere. Nat Rev Microbiol 2013; 11(11): 789-99. [http://dx.doi.org/10.1038/nrmicro3109] [PMID: 24056930] ]. AMF, Bacillus and Pseudomonas are able to elicit in plants a systemic resistance response that is detrimental to various disease-causing microorganisms [3Philippot L, Raaijmakers JM, Lemanceau P, van der Putten WH. Going back to the roots: The microbial ecology of the rhizosphere. Nat Rev Microbiol 2013; 11(11): 789-99. [http://dx.doi.org/10.1038/nrmicro3109] [PMID: 24056930] , 92Zamioudis C, Pieterse CM. Modulation of host immunity by beneficial microbes. Mol Plant Microbe Interact 2012; 25(2): 139-50. [http://dx.doi.org/10.1094/MPMI-06-11-0179] [PMID: 21995763] ]. A study has shown that interplant associations by means of common mycelial systems resulted in high level of resistance to disease, protective enzyme responses and expression of genes that encodes defensive proteins in un-infected or healthy tomato plants (Lycopersicon esculentum Mill) linked to diseased plants (Alternaria solani) with leaf early blight. This implies that there was possibly transfer of fungal disease protective signals (volatile organic compounds) through the mycelial network to the tomato plant [96Babikova Z, Johnson D, Bruce T, Pickett JA, Gilbert L. How rapid is aphid-induced signal transfer between plants via common mycelial networks? Commun Integr Biol 2013; 6(6): e25904. [http://dx.doi.org/10.4161/cib.25904] [PMID: 24563703] ]. The systemic resistance (regulated by the host plant hormones) induced by many non-pathogenic rhizobacteria results from elicitation of different defense reactions upon attack by pathogens [3Philippot L, Raaijmakers JM, Lemanceau P, van der Putten WH. Going back to the roots: The microbial ecology of the rhizosphere. Nat Rev Microbiol 2013; 11(11): 789-99. [http://dx.doi.org/10.1038/nrmicro3109] [PMID: 24056930] ]. If common mycelial networks could facilitate signaling compound’s availability, there is therefore the possibility of AMF facilitating plant defenses to herbivore. Similar effects on these insects’ enemies are also possible since the insects and their enemies react differently to Volatile Organic Compounds (VOCs) released by plants. Herbivores (such as aphids) use VOCs as signals for detecting host plants. However, upon attack, the compositions of subsequent VOCs liberated change which repel other herbivores and attract parasitoid wasps (the herbivore enemies) that destroy the insect [97Dwivedi SL, Sahrawat KL, Upadhyaya HD, et al. Chapter one-advances in host plant and Rhizobium genomics to enhance symbiotic nitrogen fixation in grain legumes. Adv Agron 2015; 129: 1-116. [http://dx.doi.org/10.1016/bs.agron.2014.09.001] , 98de la Peña TC, Pueyo JJ. Legumes in the reclamation of marginal soils, from cultivar and inoculant selection to transgenic approaches. Agron Sustain Dev 2012; 32(1): 65-91. [http://dx.doi.org/10.1007/s13593-011-0024-2] ]. VOCs released by attacked plants are always generated systemically and transferred aerially between plants and transported to the rhizosphere through the roots. Common mycelial networks therefore enhance the transfer of signaling compounds from herbivore attacked plant to un-infested plant resulting in its protection from the insects (Fig. 3 ). Such microbially induced plants protection against herbivore attack guaranties the aboveground biomass and therefore this microbially induced resistance enhances the aboveground plant biomass and could help to minimize the use of expensive and less ecofriendly conventional chemical insecticides. Therefore, from a pragmatic view point, more insights into mycorrhizal functions in plant defense immunity might help to enhance food security [57Babikova Z, Gilbert L, Bruce TJ, et al. Underground signals carried through common mycelial networks warn neighbouring plants of aphid attack. Ecol Lett 2013; 16(7): 835-43. [http://dx.doi.org/10.1111/ele.12115] [PMID: 23656527] ]. Phyllosphere protection by AMF common mycelial network. Aphids attack on the stunted plant (left) led to the release of modified signaling compound (volatile organic compound) via common mycelial system thus preventing their attack on the other plant (right). Abiotic stresses are some of the factors militating against crop cultivation which may affect their development and yield. The effects of these stresses can be curtailed by belowground microbial interactions since some microorganisms influence the physical and chemical parameters of rhizospheric soil while others may enhance agricultural crops protection to environmental stresses including drought, heavy metal pollutants, salinity and heat . Examples of these microorganisms are bacteria in the rhizobacterial group. The specificity and level of establishment of these plant-microbial interactions are not absolutely explicit and more research is therefore needed to decipher the interactive mechanisms, determinant factors of specificity and how microorganisms confer/amplify plant tolerance to drought environments . One of the ways to understand the impacts of abiotic stresses on plants is through omic studies which help to elucidate plant microbial processes that can be harnessed for biotechnological purposes. At the transcriptomic level, it was observed that the bacterium Paenibacillus polymyxa B2 enhanced the drought tolerance of A. thaliana in good correlation with overexpression of some drought responsive genes compared to un-inoculated plants [99Timmusk S, Wagner H. The plant-growth-promoting rhizobacterium Paenibacillus polymyxa induces changes in Arabidopsis thaliana gene expression: A possible connection between biotic and abiotic stress responses. Mol Plant Microbe Interact 1999; 12(11): 951-9. [http://dx.doi.org/10.1094/MPMI.1999.12.11.951] [PMID: 10550893] ]. With the aid of differential display polymerase chain reaction and 2-D polyacrylamide gel electrophoresis, six drought stress proteins (pathogenesis-related protein, adenosine kinase, vacuolar H+-ATPase, dehydrin-like protein, S-adenosylmethionine synthetase, early nodulin ENOD18) were expressed in pepper plants amended with Bacillus licheniformis under drought stressed condition [76Lim J-H, Kim S-D. Induction of drought stress resistance by multi-functional PGPR Bacillus licheniformis K11 in pepper. Plant Pathol J 2013; 29(2): 201-8. [http://dx.doi.org/10.5423/PPJ.SI.02.2013.0021] [PMID: 25288947] ]. Also, quantitative polymerase chain reaction (qPCR) revealed the Bacillus amyloliquefaciens 5113 and Azospirillum brasilense priming effects on the expression of drought responsive genes [such as ascorbate peroxidase (APX1), S-adenosyl-methionine synthetase(SAMS1) and heat shock protein (HSP17)] and on some enzyme activities involved in enhancing drought stress of wheat leaves [14Kasim WA, Osman ME, Omar MN, El-Daim IAA, Bejai S, Meijer J. Control of drought stress in wheat using plant-growth-promoting bacteria. J Plant Growth Regul 2013; 32(1): 122-30. [http://dx.doi.org/10.1007/s00344-012-9283-7] ]. Illumina sequencing (HiSeq 2000 system) revealed drought responsive genes in sugar cane inoculated with the diazotroph Gluconacetobacter diazotrophicus PAL5. Enhanced plant acclimatization to arid environment through AMF interaction is connected to the fungal ability to enhance plant nutrient and water uptakes resulting in an increase in the plant tissue water content. Thus, AMF interactions enable plants to acclimatize to drought conditions through different mechanisms which comprise nutritional, morphological, and physiological mechanisms [100Kong J, Pei Z, Du M, Sun G, Zhang X. Effects of arbuscular mycorrhizal fungi on the drought resistance of the mining area repair plant Sainfoin. Int J Min Sci Technol 2014; 24(4): 485-9. [http://dx.doi.org/10.1016/j.ijmst.2014.05.011] ]. Although findings have shown how these fungi confer drought tolerance to plant, more information is needed to unveil the whole mechanisms associated with such process. In addition to single inoculation of rhizobacterial species, a further inoculation with AMF enhances plant drought tolerance. Inoculation of common bean (Phaseolus vulgaris L.) with P. polymyxa-DSM36, P. polymyxa-Loutit strain and Rhizobium tropici-CIAT 899 resulted in greater growth compared to single inoculation with Rhizobium species. Moreover, combined inoculation increased the number and weight of nodules of the plant under drought stress environment compared to inoculation with Rhizobium alone [101Figueiredo MV, Burity HA, Martínez CR, Chanway CP. Alleviation of drought stress in the common bean (Phaseolus vulgaris L.) by co-inoculation with Paenibacillus polymyxa and Rhizobium tropici. Appl Soil Ecol 2008; 40(1): 182-8. [http://dx.doi.org/10.1016/j.apsoil.2008.04.005] ]. Under arid and semi-arid conditions, AMF and Pseudomonas mendocina significantly improved root phosphatase activity and proline accumulation in lettuce leaves [102Kohler J, Hernández JA, Caravaca F, Roldán A. Plant-growth-promoting rhizobacteria and arbuscular mycorrhizal fungi modify alleviation biochemical mechanisms in water-stressed plants. Funct Plant Biol 2008; 35(2): 141-51. [http://dx.doi.org/10.1071/FP07218] ]. Subsequent co-inoculation with Pseudomonas species and Azotobacter chrocoocum reduced drought stress in wheat through increased modifications of the anatomical structures such as mesophyll and phloem tissues, thickness of epidermis and diameter of xylem vessel whereas water deficiency had negative effects on the anatomical tissues of the control [103El-Afry MM, El-Nady MF, Abdelmonteleb EB, Metwaly MMS. Anatomical studies on drought-stressed wheat plants (Triticum aestivum L.) treated with some bacterial strains. Acta Biol Szeged 2012; 56(2): 165-74.]. Bacterial consortium of Bacillus cereus AR156, Serratia species and B. subtilis SM21 enhanced drought resistance in cucumber plants. After exposing the plant to drought for 13 days, the plants treated with the bacterial isolates showed darker green leaves with mild symptoms, increased chlorophyll and proline content and decreased relative electrical conductivity. The bacterial consortium treated cucumber plants also enhanced the superoxide dismutase activity and alleviated the drought-activated down-regulation of genes coding for ribulose-1, 5-bisphosphate carboxyl/oxygenase (Rubisco) large and small subunits and ascorbate peroxidase in the leaves of cucumber plants [104Wang C-J, Yang W, Wang C, et al. Induction of drought tolerance in cucumber plants by a consortium of three plant growth-promoting rhizobacterium strains. PLoS One 2012; 7(12): e52565. [http://dx.doi.org/10.1371/journal.pone.0052565] [PMID: 23285089] ]. Microbial consortium containing exopolysaccharide producing bacterial isolates exhibited more potential to drought tolerance in maize compared to single bacterial strain [105Naseem H, Bano A. Role of plant growth-promoting rhizobacteria and their exopolysaccharide in drought tolerance of maize. J Plant Interact 2014; 9(1): 689-701. [http://dx.doi.org/10.1080/17429145.2014.902125] ]. Rhizobacteria consortia reduced drought stress by minimizing oxidative damage and increasing proline content in rice plants cultivated under drought condition which resulted in enhanced plants growth. These findings show that beneficial plant-microbial interaction under drought stressed condition can be encouraged by the introduction of drought resistant microbial isolates that have the potential to enhance plant metabolic plasticity and to maintain the growth of plants. The associations between plants and rhizosphere microorganisms are dynamic and complicated [3Philippot L, Raaijmakers JM, Lemanceau P, van der Putten WH. Going back to the roots: The microbial ecology of the rhizosphere. Nat Rev Microbiol 2013; 11(11): 789-99. [http://dx.doi.org/10.1038/nrmicro3109] [PMID: 24056930] , 106Turner TR, James EK, Poole PS. The plant microbiome. Genome Biol 2013; 14(6): 209. [http://dx.doi.org/10.1186/gb-2013-14-6-209] [PMID: 23805896] ]. Although, belowground interaction can maintain or increase aboveground productivity, compounds generated in the aboveground biomass can have significant positive or negative effects on the belowground microbial diversity and vice versa. In particular, the immune defense structure of plants is believed to play a role in shaping microbial structure. Mutant strain of A. thaliana that lacked acquired immunity exhibited microbial community structure different from that of the wild type, but chemical activation of the acquired immune system did not cause noticeable change in the bacterial community in the rhizosphere. Also, reduction in the richness and abundance of endophytes was observed as a result of defense mechanism triggered by salicylic acid in the phyllosphere of A. thaliana while plants without jasmonate-triggered defense revealed greater diversity of epiphytes. These results suggest that the distinct plant immune pathways differentially impact soil microbial community and structure especially certain groups of bacteria [3Philippot L, Raaijmakers JM, Lemanceau P, van der Putten WH. Going back to the roots: The microbial ecology of the rhizosphere. Nat Rev Microbiol 2013; 11(11): 789-99. [http://dx.doi.org/10.1038/nrmicro3109] [PMID: 24056930] ]. The production of plant hormones such as indole-3-acetic acid and gibberellins are common among rhizobacteria species and they are known to enhance plant growth. Pseudomonas syringae releases compounds similar to hormones that hinder ethylene and jasmonate signaling thereby allowing pathogen to gain access into the plant through the resultant effect of stomatal opening [3Philippot L, Raaijmakers JM, Lemanceau P, van der Putten WH. Going back to the roots: The microbial ecology of the rhizosphere. Nat Rev Microbiol 2013; 11(11): 789-99. [http://dx.doi.org/10.1038/nrmicro3109] [PMID: 24056930] ]. On the other hand, many chemical compounds generated by plants enhance specific interactions in certain microbial groups. In particular, flavonoids cause different responses in MF, rhizobacteria, root pathogens and some plants [107Hassan S, Mathesius U. The role of flavonoids in root-rhizosphere signalling: Opportunities and challenges for improving plant-microbe interactions. J Exp Bot 2012; 63(9): 3429-44. [http://dx.doi.org/10.1093/jxb/err430] [PMID: 22213816] ] while strigolactones produced in low concentrations from plant roots stimulate MF hyphal branching and parasitic plant (e.g.Orobanche spp.) seed germination [3Philippot L, Raaijmakers JM, Lemanceau P, van der Putten WH. Going back to the roots: The microbial ecology of the rhizosphere. Nat Rev Microbiol 2013; 11(11): 789-99. [http://dx.doi.org/10.1038/nrmicro3109] [PMID: 24056930] , 106Turner TR, James EK, Poole PS. The plant microbiome. Genome Biol 2013; 14(6): 209. [http://dx.doi.org/10.1186/gb-2013-14-6-209] [PMID: 23805896] ]. Glucosinolates generated by transgenic Arabidopsis changed the microbial communities in the root and rhizosphere. Alkaloids, terpenoids and phenolics are commonly produced by plants. As an illustration, the order Brassicales and Arabidopsis produce glucosinolates, but Avena strigosa commonly known as oat produces avenacins which are effective against a wide range of fungi. Mutant oat deficient in avenacins exhibits different rhizosphere culturable fungal species which are more vulnerable to pathogenic fungi than the wild type [106Turner TR, James EK, Poole PS. The plant microbiome. Genome Biol 2013; 14(6): 209. [http://dx.doi.org/10.1186/gb-2013-14-6-209] [PMID: 23805896] ]. Upon analytical investigation, there was amazingly no significant variation in the rhizosphere fungal diversity between the mutant oat and the wild type. However, mutant genotype deficient in avenacins seriously affected eukaryotic community of Amoeba including Alveolata without having any effects on bacteria [106Turner TR, James EK, Poole PS. The plant microbiome. Genome Biol 2013; 14(6): 209. [http://dx.doi.org/10.1186/gb-2013-14-6-209] [PMID: 23805896] ]. This suggests that precise changes in plants metabolism could have serious impacts on plant associated microorganisms. Plants establish interactions with several different microorganisms and a large proportion of these exceedingly complex microbial groups have not been characterized. In particular, it was recently reported that only 7% of all terrestrial fungi have been characterized [108Mora C, Tittensor DP, Adl S, Simpson AG, Worm B. How many species are there on Earth and in the ocean? PLoS Biol 2011; 9(8): e1001127. [http://dx.doi.org/10.1371/journal.pbio.1001127] [PMID: 21886479] ] and a significant fraction of the unidentified fungi interact with plant in different ways. Investigating complex microbial community in the environment is a big challenge. Therefore, omic studies of microorganisms that inhabit the rhizosphere are crucial because this is the region where most plant-microbial interactions occur and this technology could help to discover novel beneficial plant-microbial interactions that may be useful to alleviate drought stress of plants. Real-time application of metagenomic, metatranscriptomic and transcriptomic to rhizosphere microorganisms may possibly provide more insights into complex microbial interactions [36Schenk PM, Carvalhais LC, Kazan K. Unraveling plant-microbe interactions: Can multi-species transcriptomics help? Trends Biotechnol 2012; 30(3): 177-84. [http://dx.doi.org/10.1016/j.tibtech.2011.11.002] [PMID: 22209623] , 109Gust AA, Brunner F, Nürnberger T. Biotechnological concepts for improving plant innate immunity. Curr Opin Biotechnol 2010; 21(2): 204-10. [http://dx.doi.org/10.1016/j.copbio.2010.02.004] [PMID: 20181472] , 110Kakirde KS, Parsley LC, Liles MR. Size does matter: Application-driven approaches for soil metagenomics. Soil Biol Biochem 2010; 42(11): 1911-23. [http://dx.doi.org/10.1016/j.soilbio.2010.07.021] [PMID: 21076656] ]. A technical method that merges PhyloChip metagenomics of the rhizosphere microbiota with culture-based transcriptomic analyses unveiled over 33000 archaeal and bacterial species in the rhizosphere of plants cultivated in a disease-suppressive soil [21Mendes R, Kruijt M, de Bruijn I, et al. Deciphering the rhizosphere microbiome for disease-suppressive bacteria. Science 2011; 332(6033): 1097-100. [http://dx.doi.org/10.1126/science.1203980] [PMID: 21551032] ]. In addition, data from structural genes, functional genes and protein analyses and metabolomic investigations may be combined statistically that will help to detect vital biological functions and make projections via modeling. This strategy was recently utilized to gain insights into interaction involving ectomycorrhizal Laccaria bicolor and Populus tremuloides roots. Transcriptomic profiling of matured ectomycorrhizal via next generation sequencing technique resulted in the detection of transcripts which were matched to definite metabolic channels and used to establish the fungal metabolome model. The model was used to project that other metabolites such as glycine and glutamate produced by L. bicolor might be utilized by P. tremuloides which in return, supplies carbon substrates such as glucose and fructose to the AMF [36Schenk PM, Carvalhais LC, Kazan K. Unraveling plant-microbe interactions: Can multi-species transcriptomics help? Trends Biotechnol 2012; 30(3): 177-84. [http://dx.doi.org/10.1016/j.tibtech.2011.11.002] [PMID: 22209623] ]. Furthermore, omic will be useful in detecting the roles of different genes, RNA, proteins and metabolites involved in plant-microbial interactions which would eventually unveil important processes that strengthen these interactions. This approach could simply be accomplished by establishing ‘genome-scale models’ that are appropriate for metabolic flux analyses in which microbial groups might be seen as a single interacting super-organisms while interacting plant’s ‘genomic-scale models’ integrate a certain level of division and differentiate metabolic processes [111Oberhardt MA, Palsson BØ, Papin JA. Applications of genome-scale metabolic reconstructions. Mol Syst Biol 2009; 5(1): 320. [PMID: 19888215] , 112de Oliveira Dal’Molin CG, Quek L-E, Palfreyman RW, Brumbley SM, Nielsen LK. AraGEM, a genome-scale reconstruction of the primary metabolic network in Arabidopsis. Plant Physiol 2010; 152(2): 579-89. [http://dx.doi.org/10.1104/pp.109.148817] [PMID: 20044452] ]. This type of model has been constructed for Arabidopsis and some bacterial spp. According to Babalola [16Babalola OO, Glick BR. Indigenous African agriculture and plant associated microbes: Current practice and future transgenic prospects. Sci Res Essays 2012; 7(28): 2431-9. ], interactions between plant and microbial species are not exhaustively understood. Hence, the need for more studies on plant microbial interactions is becoming more pressing as this will give useful insights that may be important in sustainable agriculture development. Also, knowledge of such interactions can be useful in the development of microbial inoculants [113Alori ET, Dare MO, Babalola OO. Microbial inoculants for soil quality and plant health 2017; 281-307. [http://dx.doi.org/10.1007/978-3-319-48006-0_9] ] with growth enhancing potentials. To achieve this feat and discover other plant microbial interactive benefits, several facts have to be understood since considerable numbers of factors are involved in interactions relating to microorganisms, host plant, soil matrix and other environmental components. In addition, the formation of common mycelial network by AMF which have insecticidal potential is an emerging area of study that could be harnessed for the production of bio-insecticides [57Babikova Z, Gilbert L, Bruce TJ, et al. Underground signals carried through common mycelial networks warn neighbouring plants of aphid attack. Ecol Lett 2013; 16(7): 835-43. [http://dx.doi.org/10.1111/ele.12115] [PMID: 23656527] , 114Johnson D, Gilbert L. Interplant signalling through hyphal networks. New Phytol 2015; 205(4): 1448-53. [http://dx.doi.org/10.1111/nph.13115] [PMID: 25421970] ]. This will help to minimize the detrimental effects of chemical insecticidal compounds in the environment. Studies have also depicted that plant-microbial interactions could also play a role in sustainable agriculture by helping to control a wide range of pathogens thereby enhancing crop health, productivity, yield and consequently boosting global food security [115Igiehon NO, Babalola OO. Rhizosphere microbiome modulators: Contributions of nitrogen fixing bacteria towards sustainable agriculture. Int J Environ Res Public Health 2018; 15(4): 574-98. [http://dx.doi.org/10.3390/ijerph15040574] [PMID: 29570619] ]. However, more knowledge on the physiology of these useful interactive microorganisms, microbial-cultivar acclimatization relationships, and microbial inoculant introduction or delivery techniques is needed. Also required is how inoculated beneficial microbial populations and their activities could be maintained in the soil rhizosphere [11Babalola OO. Beneficial bacteria of agricultural importance. Biotechnol Lett 2010; 32(11): 1559-70. [http://dx.doi.org/10.1007/s10529-010-0347-0] [PMID: 20635120] ]. Researches into microbial ecological interactions have resulted in significant outcomes biotechnologically [2Braga RM, Dourado MN, Araújo WL. Microbial interactions: Ecology in a molecular perspective. Braz J Microbiol 2016; 47(Suppl. 1): 86-98. [http://dx.doi.org/10.1016/j.bjm.2016.10.005] [PMID: 27825606] ]. Thus, there is the prospect of developing more useful and beneficial compounds from complex microbial interactions in the ecosystem that could be relevant in agriculture. More knowledge is similarly needed as regards the whole mechanisms involved in interactions between microorganisms and host plants and for this to be accomplished; the establishment of in vitro and in vivo techniques or models is paramount [36Schenk PM, Carvalhais LC, Kazan K. Unraveling plant-microbe interactions: Can multi-species transcriptomics help? Trends Biotechnol 2012; 30(3): 177-84. [http://dx.doi.org/10.1016/j.tibtech.2011.11.002] [PMID: 22209623] ]. Plant roots are extremely important for mineral nutrient uptake and productivity, and there is therefore the need to continue study on plant interactions with soil microorganisms. Similarly, more attention should be paid to field application of these microorganisms as biofertilizers and/or bio-pesticides so as to abate the negative effects of conventional chemical fertilizers and pesticides, increase crop yield and enhance global food security. With the emergence of advanced omic technologies, it is now possible to effectively monitor transformations in rhizosphere microbial community together with their effects on plant development. This may pave way for scientists to develop discover microbial species that will interact effectively with plants. N.O.I. thanks National Research Foundation, South Africa/TheWorld Academy of Science African Renaissance for grant (UID105466) that has supported his Doctoral programme. OOB would like to thank the National Research Foundation, South Africa for grant (UID81192) that has supported research in our laboratory. Dourado M, Martins P, Quecine M, et al. Burkholderia sp. SCMS54 reduces cadmium toxicity and promotes growth in tomato. Ann Appl Biol 2013; 163(3): 494-507. Babalola OO, Glick BR. Indigenous African agriculture and plant associated microbes: Current practice and future transgenic prospects. Sci Res Essays 2012; 7(28): 2431-9. Garbaye J. Mycorrhization helper bacteria: A new dimension to the mycorrhizal symbiosis interaction, specificity1994. Tajini F, Trabelsi M, Drevon J. Comparison between the reference Rhizobium tropici CIAT899 and the native Rhizobium etli 12a3 for some nitrogen fixation parameters in common bean (Phaseolus vulgaris L.) under water stress. Afr J Microbiol Res 2012; 6(18): 4058-67. Hussain MB, Zahir ZA, Asghar HN, Asghar M. Can catalase and exopolysaccharides producing rhizobia ameliorate drought stress in wheat. Int J Agric Biol 2014; 16: 3-13. Alguacil M, Caravaca F, Díaz-Vivancos P, Hernández JA, Roldán A. Effect of arbuscular mycorrhizae and induced drought stress on antioxidant enzyme and nitrate reductase activities in Juniperus oxycedrus L. grown in a composted sewage sludge-amended semi-arid soil. Plant Soil 2006; 279-218(1-2): 209. Staley JT, Mortimer SR, Morecroft MD, Brown VK, Masters GJ. Summer drought alters plant-mediated competition between foliar-and root-feeding insects. Glob Change Biol 2007; 13(4): 866-77. El-Afry MM, El-Nady MF, Abdelmonteleb EB, Metwaly MMS. Anatomical studies on drought-stressed wheat plants (Triticum aestivum L.) treated with some bacterial strains. Acta Biol Szeged 2012; 56(2): 165-74.